Hello readers! 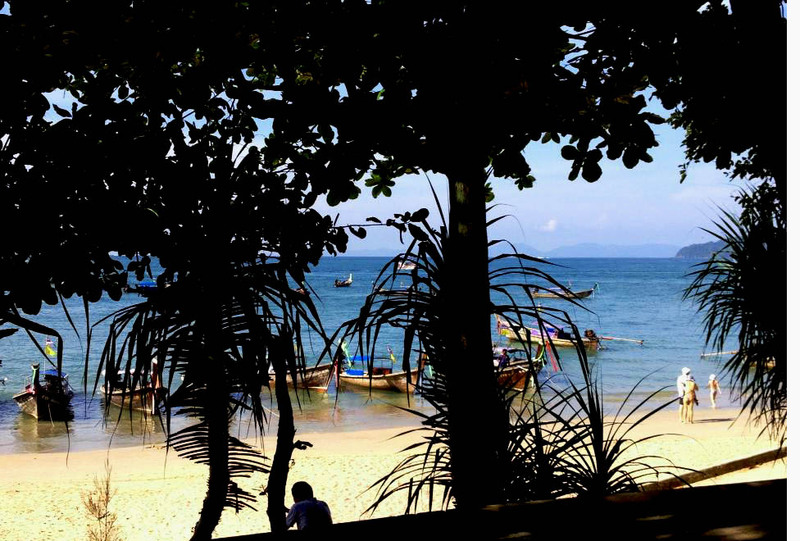 In this blog I am going to share with you my adventures to Krabi, Thailand! It was an incredible experience and also my first time traveling alone. 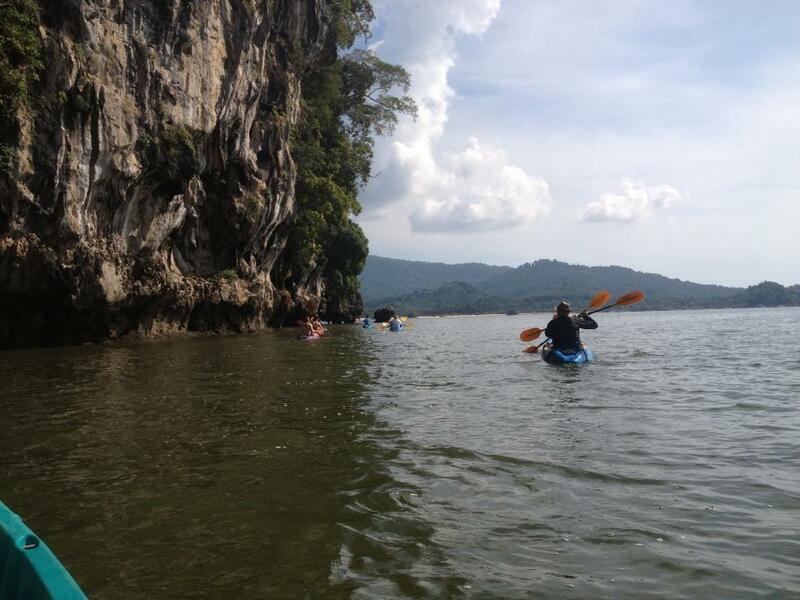 Krabi is located in the south west coast of southern Thailand, facing the Adaman sea. 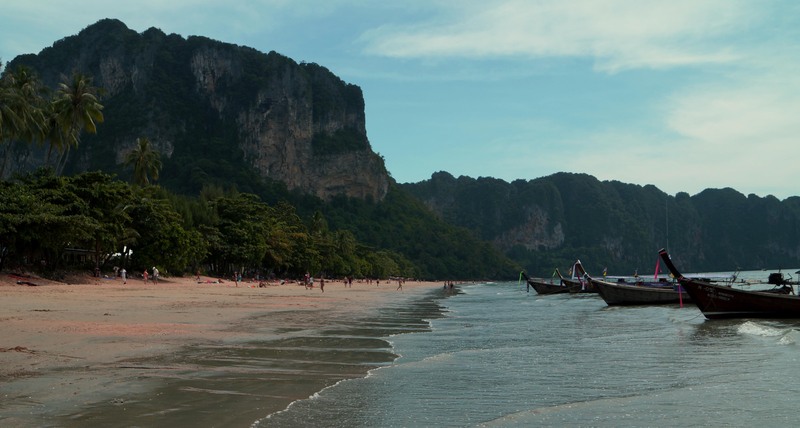 The most popular destinations are Hat Noppharat Thara, Ao Nang, Railay, and Ko Phi Phi National Park. There are also over 80 smaller islands that are an ideal location for adventurers, divers, or anyone looking for a day trip to the beach. 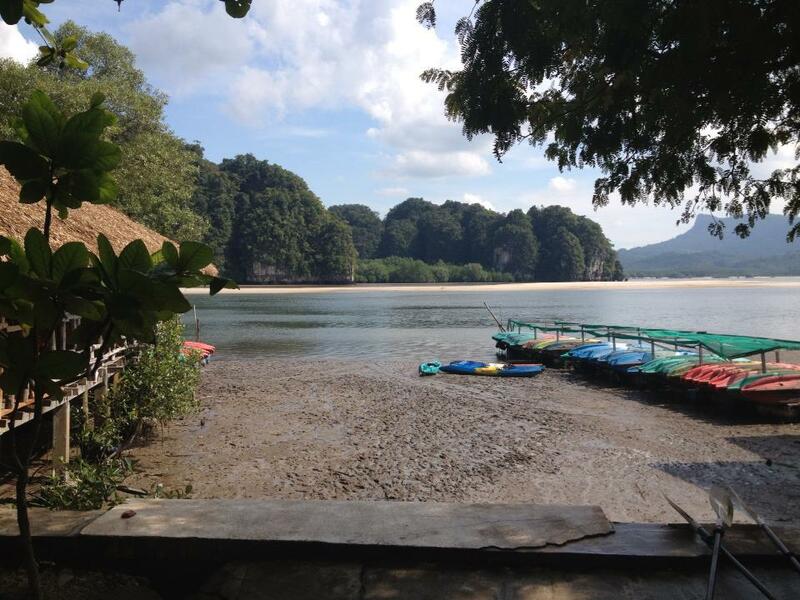 I chose to stay at Ao Nang, while also exploring some of the nearby islands. My trip started early in the morning in Bangok. If you read my previous blog, then you will know that I only had maybe an hours worth of sleep the night before. I booked my flight from Bangok to Krabi for only about 50USD. My flight left at 6:30 am and arrived around 8:00am. I had not done much research, so I ventured off with no reservations. I think that sometimes not knowing and having little expectations makes the adventure more exciting. I talked to a few people on the plane, and most of them suggested Ao Nang, because it provided access to other islands by boat. The airport in Krabi was very tiny, but that made it very easy to find where to go. I followed the other foreigners, picked up a map, then jumped into a shuttle bus. On the bus I met an older English woman who was also traveling alone. She told me how she was traveling around taking cooking classes and how she was excited to have the opportunity to travel, since her children were now grown up. It was nice to have her company as I aimlessly wandered around. 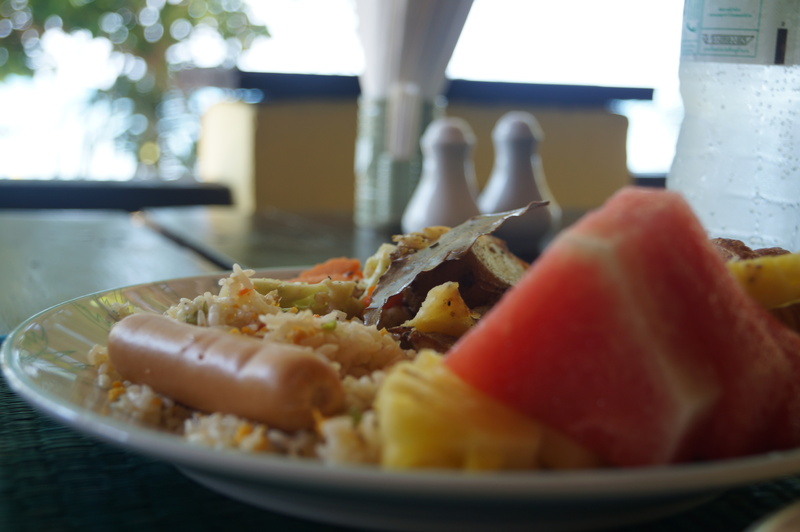 Once we got to Ao Nang, my new friend and I got some breakfast at a resort with a beautiful ocean view. A new wave of energy instantly hit me as soon as I arrived. I was glad that I had arrived so early with the whole day ahead of me. After breakfast, I walked around to check for room pricing and availability. At first I was a little discouraged, because everything was already booked. Also, being an inexperienced traveler, I had definitely overpacked, and hauling around the luggage from place to place was beginning to be a burden. 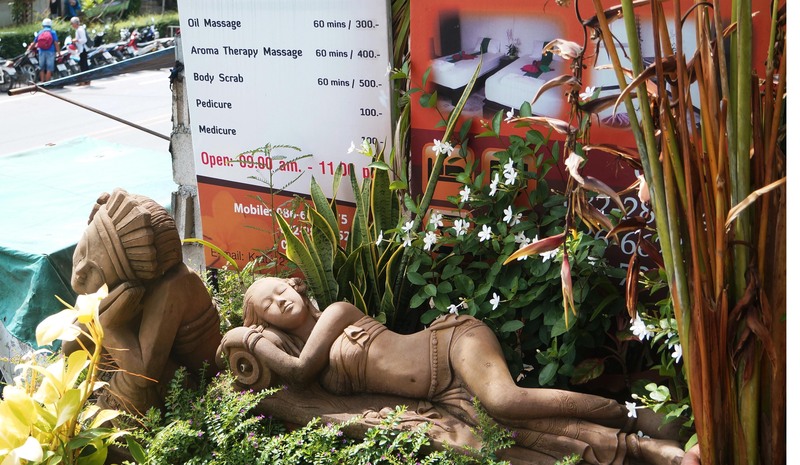 After about 30 minutes of looking around, I stumbled upon a massage parlor/guest house. To check in you had to take off your shoes, then enter a rustic nail salon. I really liked the quaint energy of the place, so I decided this would be where I was calling home for the next few days. The room only cost me about 18USD a night, and it had plenty of space with two beds. It made me kind of wish I had someone to share it with, but then again I was also excited to be on my own. Once I unpacked I walked about 2 blocks down to the beach and found some tourist information centers. The tourist information area kind of reminded of places like Orlando or Myrtle Beach, because there were so many visitor centers trying to haggle customers to buy tours and resort packages. Then next to the stores were cute little beach shops selling a variety of sunglasses, jewelry, clothes, and other beachy items. 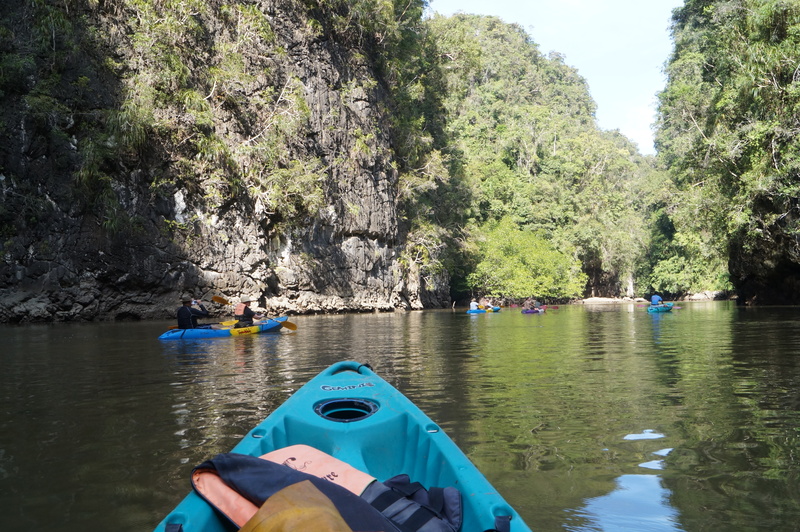 After picking one of the many tourist shops, I decided that I wanted to book a jungle kayaking tour. The lady spoke amazing English and was incredibly helpful. While I was there she also showed me how to get to Ton Sai, and she booked my airport shuttle to Phuckett for my last day. It was nice to get everything done all in one stop. I had about two hours to kill before my kayaking excursion, so I spent the next two hours exploring and taking photos of Ao Nang. One thing I noticed about the Thai people is how much they smile. Though not everyone could speak English, I was constantly greeted with a head bow and grin. I really enjoyed how laid-back and slower the atmosphere was, as it was a nice break from the fast-paced nature of Seoul. 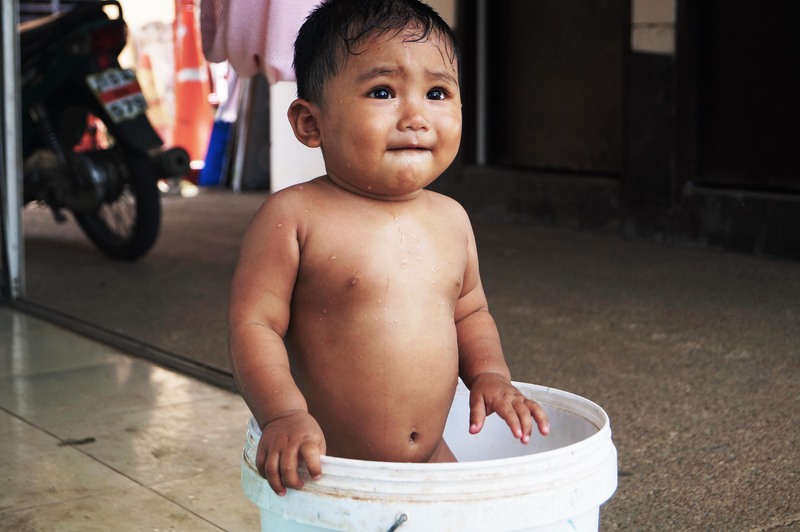 One particular moment that I found amusing was watching a baby bathe in a bucket. The baby was surrounded by female relatives who were selling fruits and snacks. They were very amused at the look on my face as I observed the baby splashing around in a tiny bucket. I pointed to my camera and then to the baby to see if it was appropriate for me to take a photo. The ladies gave me a thumbs up and a smile to communicate a “yes”. After taking a few photos, I showed them the digital images on my viewing screen, and we shared a laugh. Afterwards, I headed back to the tourist information center where a truck was waiting to take me on my jungle kayaking adventure. I hopped in the back of the rusty truck, and off we went. I was joined by a French couple, and a group of older Canadians who were all traveling together. After we arrived, an English-speaking guide introduced himself, and geared us up with life jackets, water-proof bags, water bottles, and paddles. They briefly explained how to operate the kayaks, then we went to the docks and got in. I was glad that we were able to get started quickly, and we did not have to wait around long. The views during the trip were breathtaking! I was fascinated with how the limestone rocks created beautiful cliffs covered with greenery. The way the soaring cliffs emerged from the ocean was very majestic. I was amazed at how the water had eroded the rocks and created small caves and indentions in the stone. I was glad that we moved slowly so I could reflect and take in the beauty around me. As we entered the jungle a rush of vibrant sounds filled the air. I had this funny feeling that I was being watched through the thickness of the trees. I felt unaware and curious of the secret worlds that hid behind the thick branches. It was really exciting to be able to see animals in their natural habitats. 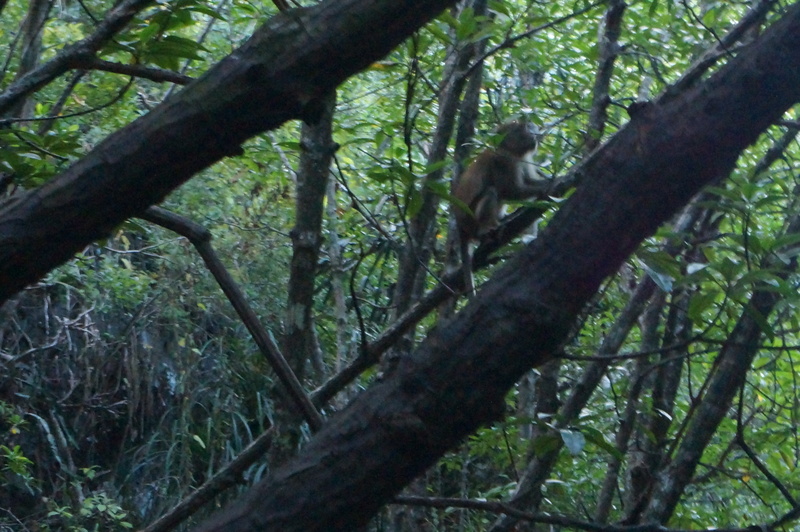 When we got deeper into the jungle, we spotted a family of monkeys playing in the trees. Our trip leader advised that we did not get too close, because the monkeys have been knows to try to jump into the kayaks. I did my best to capture some photos, but it was difficult because they moved too fast. The total Kayaking journey took about 3 hours, but it seemed to go by really fast. I wish it had been a little bit longer, however I was very satisfied with my experience. Once we were back to the resort area, I was ready to eat! In general I do not like to eat alone, because there is something special about sharing food with others. I felt a little awkward about dining by myself, but I realized it gave me the opportunity to think and observe my surroundings in more detail. I decided to eat at one of the resorts, so I could watch the sunset on the ocean. The meal was a bit pricier than the places on the main street, but I felt I should treat myself to something nice. Though my meal was considered “expensive” by Thai standards, it still only cost 10-15$. 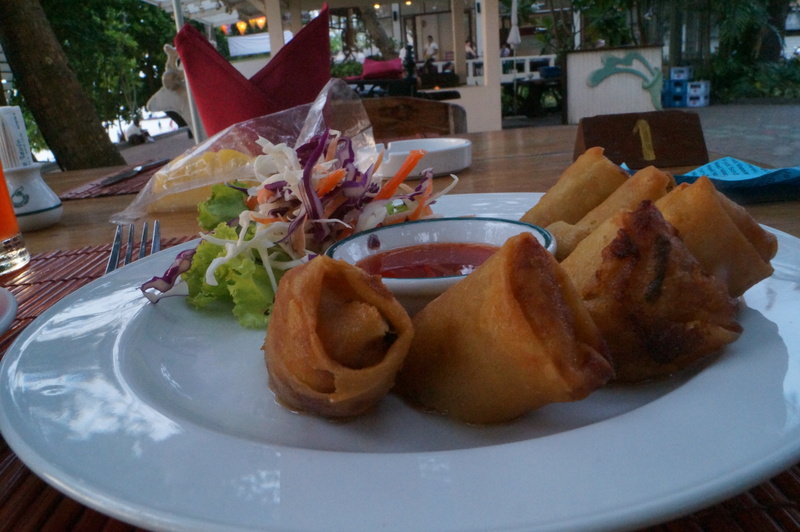 I enjoyed some delicious fried spring roles as an appetizer. 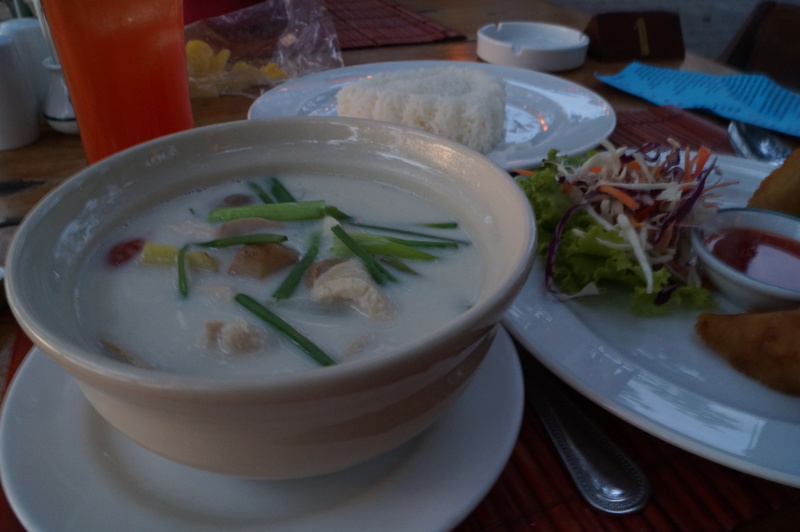 Then for dinner I had Tom Ka Gai (Coconut Chicken Soup). It was the most amazing soup I have ever had in my entire life! The sweet and tangy flavors were coupled with spicy hot peppers, which made each bite new and exciting. The chicken was soft and tender, and the mushrooms were savory and cooked to a perfect texture. I was in Thai food heaven! Not to mention I had a delicious Mai Tai rum drink, so I was in paradise. After dinner I decided I would try out a Thai massage. Earlier in the day, I had met a lady who was advertising with fliers. As I was walking to the resort, she saw me and remembered me from earlier. She told me she would reduce the price she offered earlier, so I decided I would give in. I thought she would take me into the resort, but instead she took me to a cabana right by the beach. 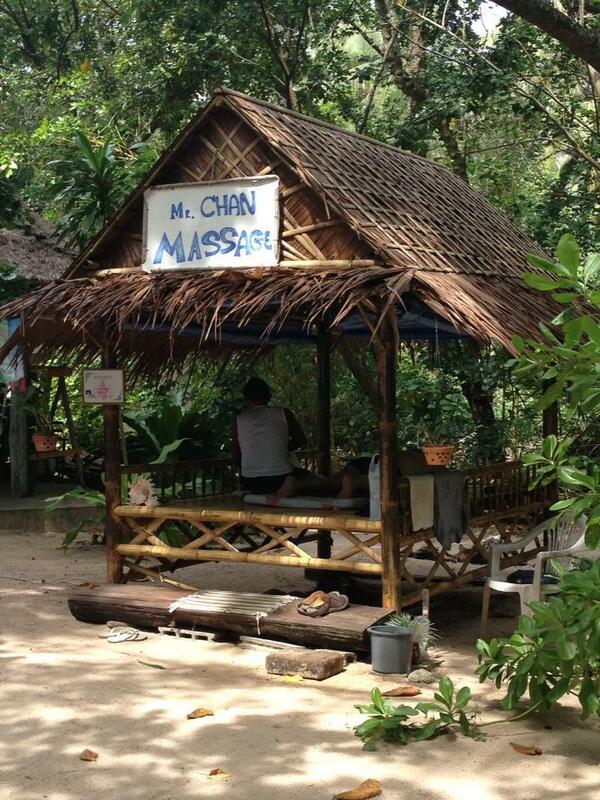 I had to remove my shirt for the massage, so that was a little awkward, as the cabana was open to the public. But I used a blanket for privacy, and decided I would just go with it. I have been to public bath houses in Korea, so I am not as bashful as I used to be. The massage was incredible. She used lavender oils which made me feel very relaxed. And I was able to listen to the waves crash into the shore as she relieved the stress in my muscles. After the massage, Took-Took (my masseuse) talked to me about my life in Korea. I told her about dating Korean boys, and how they were very handsome and romantic. Took-Took was very excited to hear about that, and wanted to ask me if I knew Kpop music. It was really enjoyable being able to discuss and relate with her about my experiences living in Korea. She enjoyed our conversation so much, that she painted my nails for free and gave me an extra foot massage. 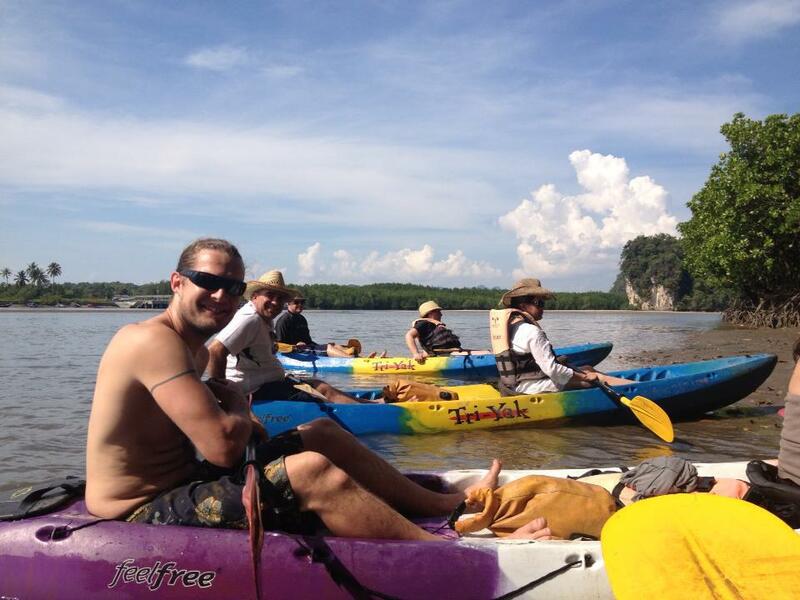 After a day of jungle Kayaking, delicious eating, and rejuvenation, I was ready for some rest. I went back to the resort, uploaded some photos to instagram and facebook, and then hit the sack. I love this!!!!!!!!!! so amazing that you went by yourself!!! I went with my boyfriend at the time but (shhhhhh!!!) was really wishing I was experiencing it by myself. 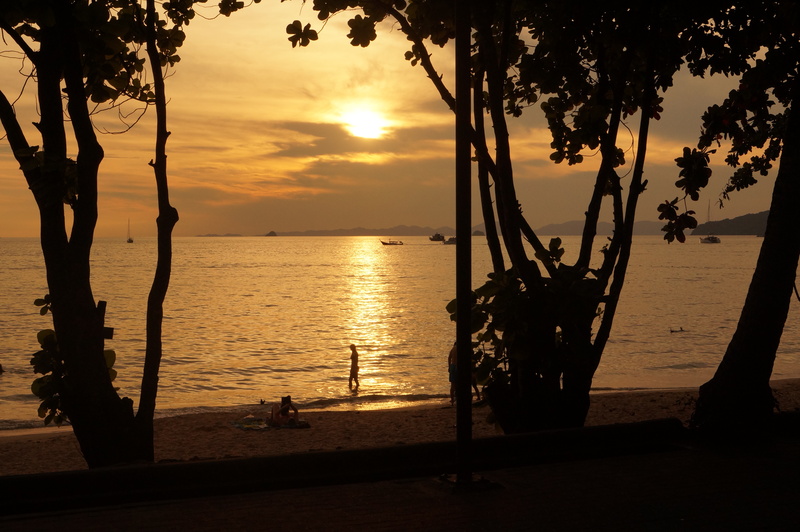 I also stayed in Ao Nang. GAH!!!! I MISS THAILAND!!!! new to me. Anyhow, I’m definitely delighted I discovered it and I’ll be book-marking it and checking back regularly! I changed the name of my site. I used to write on “Adventures of the Seoul,” but I decided to redesign the site and rename it. Originally my articles were focussed on Korea, but as I began to travel more I decided to focus the site about Asia.